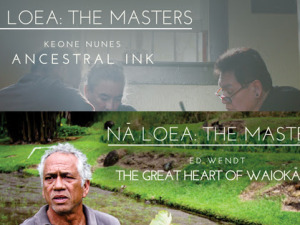 ʻŌiwi TV > Community News > Death of Local Manufacturing? Luke is a founder and partner of Kamanu Composites, a local canoe manufacturer in Hawaiʻi. We wanted to share his perspective as a local business owner and his honesty about manufacturing in Hawaiʻi (specifically Kauaʻi). If you know me only from my blog, then you probably have a skewed impression of me spending my days wallowing in mud, critiquing the experience and occasionally cutting off a chickens head. But, those days are rare. Most of the time I’m clean shaven, wearing matching socks, and trying to manage sales and finance for Kamanu Composites. Because my writing often generates heated conflict (which I don’t want to bring upon our shop), I have relegated the focus of this blog strictly to my personal life. While I spend my days attempting (and sometimes failing) to ensure the profitability of the company that I helped found, I’m just one small cog of this socialistic manufacturing machine. And, since my strong opinions are rarely the consensual opinions of our shop, I do my best to avoid getting Kamanu mired up in the moral mud that my writing wades through. But, since my business experience has shaped my perspective (which is the basis of this blog), for once I’ll break my own rule and write about it. In a story ripe with cliche, my two close friends and I spent our four years at Kaua’i High School dreaming about becoming canoe builders. 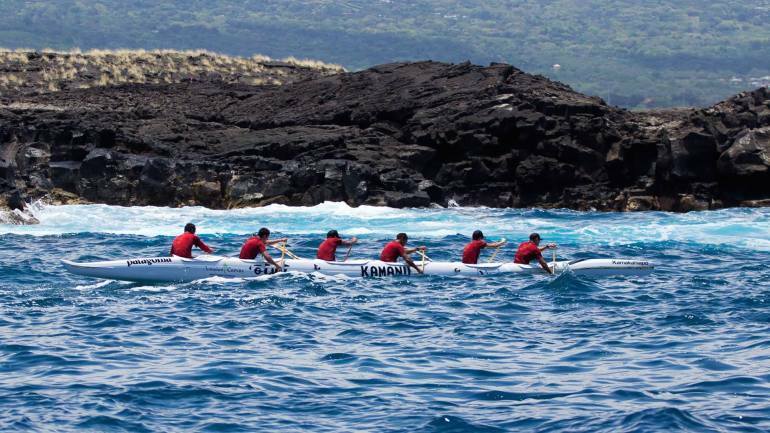 Since paddling outrigger canoes was the focal point of our lives, we would sit around on the weekends continually rehashing our ideas for this imaginary business. When we graduated, we split up to go to college, each with an appointed direction: one went to school for composites fabrication, one went to school for aeronautical engineering, and I went to school for business (I ended up switching to History). In 2007, upon returning from college, we founded our dream company. There was just one problem. While we were all from Kauaʻi, we started the company on Oʻahu. Materials were easier to source, Grainger Industrial Supply was right around the corner, and most of the Hawai’i market for outrigger canoes is there. Our intention was to spend a few years getting started then move the operation to Kauaʻi. In 2010, I was severely injured during a canoe race and flew home to recover. The move was supposed to be temporary, but, after being away from Kauaʻi for seven years, I couldn’t imagine leaving again. So, I had to make a decision– either go back to Oʻahu to continue managing production, or, stay on Kauaʻi, take a pay-cut and relegate my official duties to what I could do remotely. I chose Kauaʻi. And I’ve grappled with that decision every day since.In 2011, one of my partners also faced a similar decision. Being desperate to move back to Kauaʻi, he sold most of his share in the company and found a job selling cars in Lihuʻe.Now, seven years after we began our company, we’ve outgrown our current location and are looking for other options. One of which is to finally bring Kamanu to Kauaʻi. As a manufacturing shop we need industrial zoning. We need 200 amps of electricity for our large CNC machine, industrial oven, and our powerful compressor and vacuum pump. And we need an open floor plan of 6,000-8,000 square feet so that we can maneuver large canoes around. Any building that we move into would need around $100,000 in infrastructure improvements (mainly ventilation systems). So, here we are with a profitable shop, employing 20 local people at livable wages and good benefits, generating $40,000 a year in excise tax, infusing around $1,100,000 a year into our local economy ($.88 of every dollar we take in is spent in Hawai’i, includes tax, payroll, rent, and materials and does not include the multiplier effect of that money), making a product that otherwise would be outsourced (our main competitors are all in China, and therefore generate nearly nothing for the local economy), and doing it in as environmentally friendly a way as we can (one of two Hawai’i businesses certified by the EPA for using exclusively renewable energy). * And, most importantly, we are highly motivated to bring the shop to Kaua’i– yet we can’t do it. 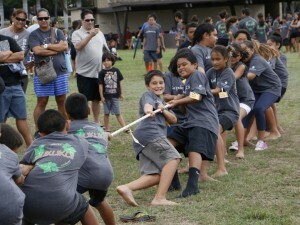 For the same reason that owning a home is out of reach for almost every young person on Kauaʻi. For the same reason that we’re losing access to our coastline and natural resources. For the same reason that local agriculture isn’t profitable. Because our island home is incomparably beautiful, we’re losing it. We have made tourism, and the low wage service jobs its provides, the back bone of our economy. Unlike Oʻahu, which still has a diversified economy, Kauaʻi is marketed as a place of resort communities where the vacation never has to end. Every high end land purchase pushes island-wide prices a little higher and we have created a market fueled by overseas money that is nearly impossible for local people, with local jobs, to buy into. 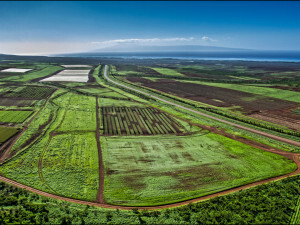 Industrial land (along with agricultural land) is competing against the gentrification/resortification of our island. And, in a story repeated throughout every desirable community in the country, gentrification always wins. Remember the industrial zone in Kilauea, near Guava Kai? Yeah, neither do I. Without adequate government intervention, the quiet totalitarianism of capitalism forces us to march in step with the invisible force of the market. Because if we don’t, we get priced out of our island home (both literally and figuratively). With just a few vacant heavy industrial spaces for rent on island, all of which are under 2,000 square feet, and no vacant heavy industrial land for sale, moving our shop home is currently impossible. In the same way that development erases our memory of what used to be, outsourcing erases our collective memory of production. Why build it here when we can buy it from elsewhere? While support for local agriculture remains (for good reason) a political buzzword, support for local manufacturing is… meh. The composites manufacturing of Kamanu Composites, LLC doesn’t fit our island’s limited industrial model. 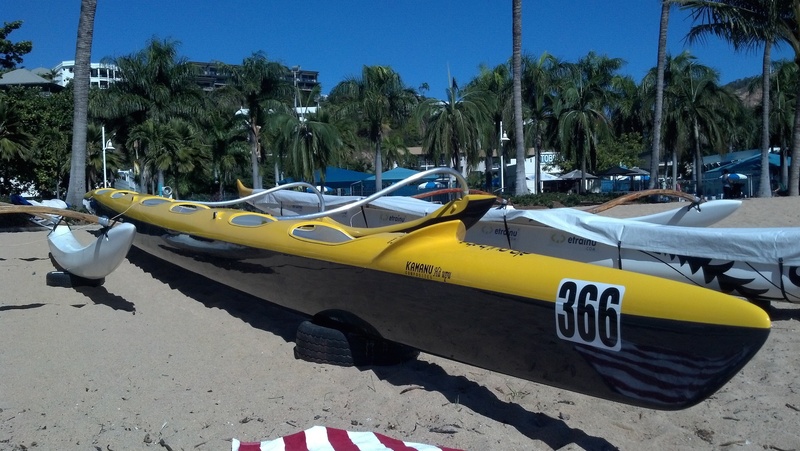 Resort communities need custom cabinet shops and granite counter tops, not outrigger canoes. So, Kauaʻi’s industrial space is tailored to the 1200-2000 square feet necessary for small high-end craftsmen, not mass production. 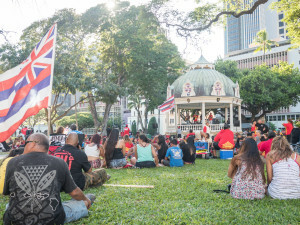 All of which adds to Kauaʻi’s dependence on tourism and resort developments. While we keep fueling the same fire that is burning us, the self-perpetuating circle continues. *Just because I love disclaimers, let me add that of course all is not perfect at Kamanu. See the dumpster in the beautiful picture above? We send out two of those per week, filled with less than environmentally friendly trash, as each canoe results in its own weight in waste. We also continuously face a variety of production and morale related issues. As is the case in everything I write about, unless we close our eyes completely, all roads are filled with morally ambiguous mud. All we can do is try to tread the cleanest path.